Your target customers are different individuals with different needs and preferences. So when it comes to marketing to them, there’s no one-size-fits-all solution that’s going to work. Sure, you may get some positive results from bundling all of your target customers together into one group. But those results are nothing compared to the conversions you can get through market segmentation. Market segmentation involves dividing potential (and existing) customers into different groups, depending on certain characteristics. Each group, or segment, is made up of consumers who share similar characteristics such as interests, location, or needs. The people in each segment will likely respond to certain marketing tactics in similar ways. So you can use those segments to create personalized marketing campaigns. Most large organizations and worldwide retailers are already using segmentation to boost conversions. You may be a small business owner with only a handful of target customers. Or a relatively new ecommerce website. But that doesn’t mean you don’t need segmentation in marketing. Every business – no matter how small – can benefit from market segmentation. More Efficient – Market segmentation allows you to target relevant segments instead of targeting each individual separately. It allows you to group together similar customers, and launch marketing campaigns designed for each group. By targeting groups of consumers rather than individuals, you can use your time and money more efficiently. More Effective – With market segmentation, you can avoid creating a generic campaign to target all potential customers in general. Instead, you can create a marketing strategy to reach different types of consumers. In ways that will resonate most with each segment. This will increase the effectiveness of your marketing campaigns. Better Allocation of Resources – You can also use segmentation in marketing to determine which consumer segments to prioritize. For example, you may find that a certain segment is more likely to engage with your brand and convert. So you can concentrate your efforts to boost conversions on them instead of spreading your resources evenly across all segments. Whether it’s for an email marketing campaign, or a PPC campaign, you can use segmentation to increase your conversions rates. In fact, a MailChimp study found that segmented email campaigns had a 14.31% higher open rate, and a 100.95% higher click rate than non-segmented campaigns. The previously-cited MailChimp study highlighted the importance of segmenting your email marketing campaigns for better conversions. In addition to more opens and clicks, segmented email campaigns also had a 4.56% lower bounce rate, and 9.37% fewer unsubscribes than non-segmented campaigns. Obviously, your email marketing campaigns should be one of the first areas in which you implement market segmentation. You can segment prospective customers based on various characteristics – such as interests, gender, or behavior. You can even segment them based on which stage they’re at in the conversion funnel. For example, you may have one segment of people who are interested in learning more about the product you’re selling. Another segment may include people who are already convinced that they need your product’s features, but who are currently contemplating whether they should buy from you, or your competitor. For the first segment, you could send them emails that will help them learn more about your product and its features. For the second segment, you could send an offer for a free trial, or a discount to help convince them to take the desired action. 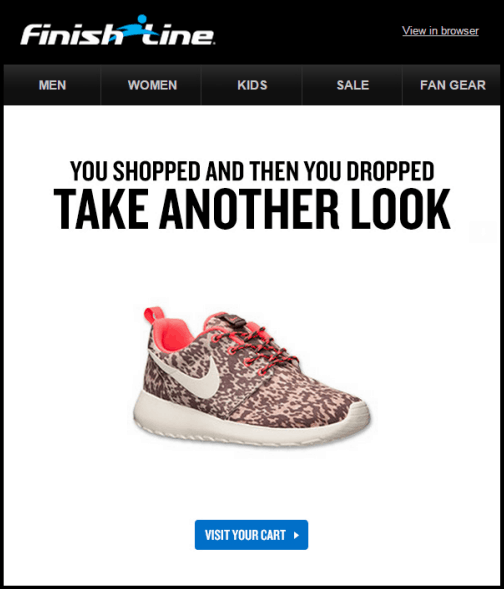 Finish Line executed email segmentation to boost their revenue. They created trigger-based campaigns involving cart abandonment emails and emails to loyalty program users. They also segmented subscribers based on gender, location, preferences, and more. Overall, the brand used 300 different segments for their email marketing campaigns. With the help of a more targeted segmentation method, Finish Line increased their email revenue by 50%. Their category sales also increased by 14% after they targeted subscribers based on gender and preferences. Overall, segmentation was highly effective for Finish Line’s email marketing campaigns. Other companies, like Paper Style, have increased their revenue per email by as much as 330% after creating a segmented email campaign. Segmentation is a crucial step to personalizing the experience of your visitors. A personalized user experience involves tailoring your branding according to the needs and desires of different consumer segments. For ecommerce websites, you can personalize user experience based on shopping habits. Let’s say you have a segment of visitors who have never made a purchase. You could display a banner offering a discount for their first purchase. Or if you have a segment of customers who fall into the “big spender” category, you could display a banner offering a discount on purchases over a certain amount. Similarly, you could display a banner for free shipping, or a limited time discount to users who abandoned their carts. You can also personalize the experience of users in a way that’s relevant to their geographic location. For example, you can customize content based on a local event, or you can display content to suit the local weather. 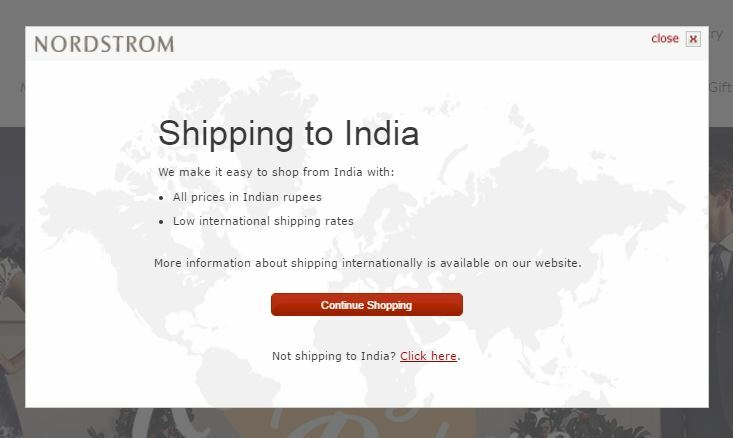 Or you can display shipping information relevant to the customer’s location, like Nordstrom does. Separating new and repeat visitors into different segments is crucial for personalizing their experience. You can welcome new visitors with information on how to navigate your site, and find what they’re looking for. Or you could present them with a video tutorial about your product or service. For repeat visitors, you could welcome them back, and provide them with information on recent updates. Or you could provide them with information that might interest them based on how they have behaved in the past. For example, if they often browse through a certain category, you can display what’s new in that category. You can also personalize experience based on the interests of users, or based on their profiles. Then you can customize content in a way that will resonate best with each segment. Neustar helped Lenovo segment visitors to personalize user experience on their website. They collected anonymous online household-level data to create different profiles. That data included what TV shows the audience watches, how they shop, what media they consume, and more. Then they displayed different homepage banners according to each segment’s preferences. The result was a 40% increase in conversions on the U.S. website, and a 25% increase in revenue per visitor. You can also provide visitors with personalized content by asking them relevant questions. 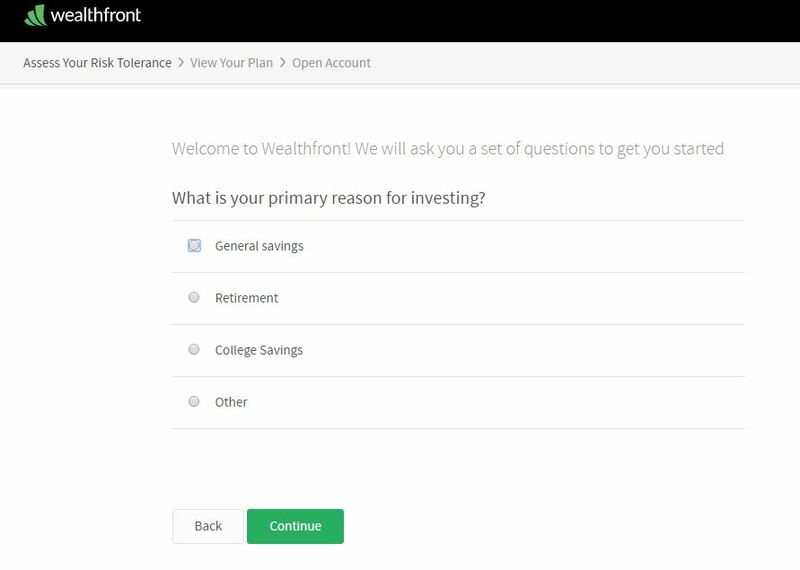 Wealthfront does a great job of this. They ask visitors a series of questions to help them offer the most relevant investment solutions. In such cases, you create relevant solutions based on different consumer segments. But you are not making assumptions about which segment certain visitors belong to. You provide a personalized experience with the help of their participation. It’s crucial to segment your audience based on their location, and then customize your ads based on those segments. By doing so, you can create ads to suit the geographical or cultural differences of each segment. It’s also important to customize your PPC ads according to location-specific prices or offers. Maybe your services are cheaper in a certain states because of the lower cost of living, for example. Or maybe you don’t offer the same services or products in all locations. If so, you need to change your messaging based on the location of the consumers you’re targeting. You may have a segment of customers who are frequent buyers. And another segment of users who have abandoned items in their carts. You may also have frequent visitors who haven’t yet made a purchase. And another segment of customers who have recently made a purchase. You can use these segments to create personalized PPC ads. You could target the first and last segments with ads that highlight new products from the categories they usually buy from. And target the second segment with ads that display the items they abandoned. And perhaps include an offer for free shipping or a special discount. You could show the third group an ad for a discount on their first purchase. A Sociomantic case study highlighted how ecommerce retailer ZALORA was able to acquire new customers through ad segmentation. The retailer wanted to expand their customer base within the South-East Asian region. They created segments to ensure that existing customers were not targeted for the campaign. They also created personalized banners that displayed products that were relevant to the interests of different individuals. Within just three months, the retailer increased their customer acquisition rate by 17%. They also experienced a 12% increase in revenue from the campaign. 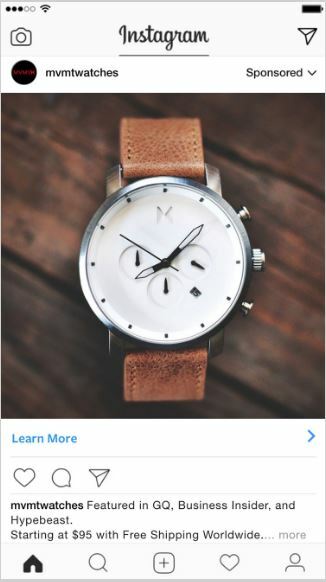 MVMT Watches also successfully implemented segmentation to retarget customers for their Instagram ads. The brand created Lookalike Audiences to target millennials interested in fashion and lifestyle brands. They also targeted users based on their interests and behaviors. MVMT also created Custom Audiences to re-engage existing fans who subscribed to their newsletter, or visited their website. MVMT Watches carefully selected which customer segments would see the ads. Which helped the brand target, and re-target the audiences most likely to convert. The cost-effective campaign yielded much better results than ads on other platforms, including a much higher return on ad spend. The campaign also resulted in 75% better brand awareness, and two times higher engagement than any other platform. And their cost per conversion was 20% lower. Although other factors could have also contributed to the brand’s improved performance, customer segmentation and retargeting clearly played major roles. You now have a clear understanding of how to use segmentation to leverage your marketing efforts. You also know how to use market segmentation to boost conversions. Segmentation can help you improve all aspects of your marketing campaigns. From email marketing and user experience, to paid advertising. Now it’s time to start using market segmentation to increase your conversion rate. If you have any questions or doubts, you can always ask them in the comment section below. Or you can reach out to me personally if you need additional help with your conversion rate optimization strategy.